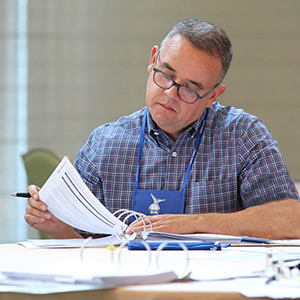 The Wilson® Trainer Meeting is our annual gathering for Wilson® Credentialed Trainers to expand their understanding of literacy education, research, legislative issues, and Wilson’s programs. Engage intellectually with expert speakers about current trends and topics, blended with practical application to the implementation of Wilson’s programs. 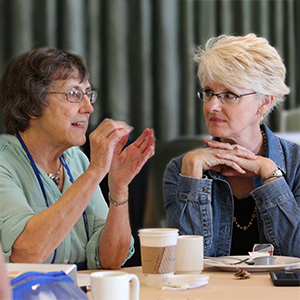 Learn from the collective experience of colleagues during sessions that encourage the sharing of experiences and ideas. Renew the special bonds of the trainer community and receive support from Wilson staff for your specific situation. Revitalize professional work with actionable information for school implementation and instruction. This event is a special opportunity for Wilson Credentialed Trainers to continue their growth in an environment that is specifically geared toward their professional needs. 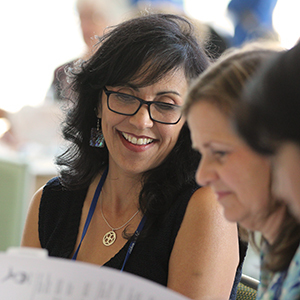 School districts and organizations with Wilson Credentialed Trainers may want to encourage their WRS certified teachers to attend the Wilson Certified Teacher Conference, held every other year. This team experience can help develop shared understanding to support sustained communication and implementation. 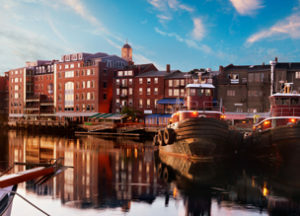 Featuring a scenic river view, the Sheraton Portsmouth Harborside Hotel combines the charm of this historic New England area with modern amenities. Conveniently located downtown, it’s easy to enjoy Portsmouth’s unique restaurants, local shops, lively entertainment, and other area attractions. Registration information has been emailed to all Wilson Credentialed Trainers. For assistance, please contact us or call 1.800.899.8454 during our business hours.